PLC: Are programmable logic devices, are programmed to low level, so they are very stable. Also are very robust as enduring high temperatures, vibrations and other problems of the atmospheres industrial. Its operation is simple, you read some entries calculated instructions and generate some outputs. DCS: Distributed control systems. Systems are more complex in which the entire process works with a single data base, the system is unique for the whole plant. Robots: They perform routine and repetitive tasks. CNC: Are tools of numerical control machines, i.e., is scheduled the final piece design and does not require an operator that performs all the movements. Servosystems advanced: are systems feedback, i.e., the output is an element mechanical and control their position. Is used in machines tools or in motors that rotate a certain angle. 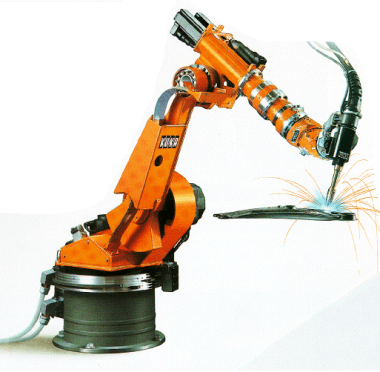 Robotic arm for welding tasks. Industrial PC: Are computers that are used to automate a function, are less robust PLC therefore tend to be in boxes more watertight and do not have connectors. Often used is when is requires more capacity that a PLC, for example for vision artificial. 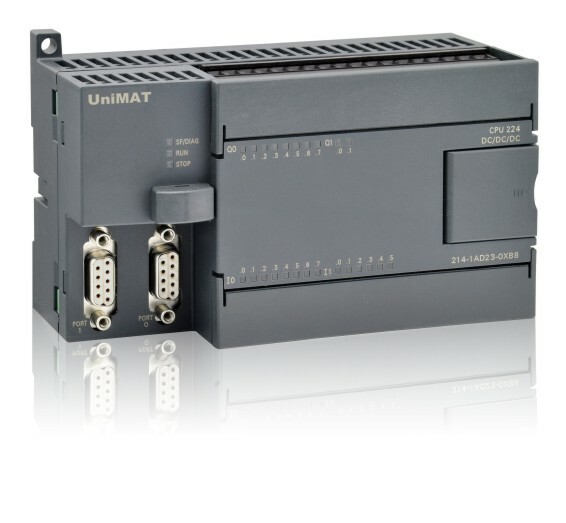 RTU: Remote control devices, being little formal can say that PLCs are to away in remote places where it is required a certain process we use a RTU. These devices can be controlled via radio, GPRS or any other protocol of ccomunicaciones can add a Data Logger where maintenance technician collected periodically to read the data. In the last years are abounding RTU with WebServers for to know and read the data via web. Distributed periphery: are drivers that allow you to bind a group of peripherals with a driver, primarily used to save costs in wiring. Operator screens: are usually touch screens where we can see a certain process and the operator can interact with the machine in question. Finally I would be remiss to talk a little about the final elements of the facilities to sensors and actuators. Sensors capture a particular physical quantity, temperature, humidity, power, (normal or emergency) buttons, counters, security systems… These data are collected by the control elements and on the one hand it can be stored in a database and on the other on the basis of those entries generate a throughput with actuators, which can be relays, solenoid valves, variable frequency drives… This is the automation of a process. I don't want to just talk about industry since the same system can be used to generate energy in a solar farm, improve the conditions of a greenhouse, save costs in a building with energy efficiency and my examples that could be exposed. Introduction to the industrial security and antivirus. Home Automation via Web monitoring.